The Progress-Focused Approach: 100 Billion Neurons? College students are taught that the human brain consists of 100 billion neurons. This claim can be found in a large number of textbooks. Popular science publications promote this claim as definitive. When I was in graduate school this number was promoted an accepted without question. What is the original source for this number? Surely, with such a strong assertion this claim is supported by a plethora of evidence. Suzana Herculano-Houzel (photo) posed the question- what is the source of the 100 billion neuron claim?- to various senior neuroscientists and no one was able to guide her to the original source (Herculanon-Houzel, 2016). After a painstaking search through the literature she wasn't able to find a single source supporting the 100 billion neuron claim. I have tried myself to find an original source for this number; apparently it doesn't exist. According to Herculano-Houzel, Eric Kandel (Nobel Laureate), co-author of Principles of Neural Science, couldn't provide an original source for the claim, even though the claim was made in Principles of Neural Science (a book Kandel co-authored). Kandel said he wasn't responsible for the chapter containing the 100 billion neuron claim; his co-author wrote that chapter. Herculano-Houzel asserts, "[a]pparently, partial approximation had been taken for an order-of-magnitude estimate, which in turn had been taken for the real thing. It was 2004, and no one really knew how may neurons could be found on average in the human brain" (pp.24-25). When Roberto Lent, author of One Hundred Billion Neurons, was asked where the number came from he couldn't provide an answer, according to Herculano-Houzel. Note, the title of the book was later changed to One Hundred Billion Neurons? A question mark was added to the title. Herculano-Houzel developed a new method (isotropic fractionator) to count brain cells. Other researchers have adapted this method. Christopher von Bartheld, from the University of Reno, and Jon Kaas, from Vanderbilt University have shown this method to be faster, more reliable and easier to apply than another method (stereology), commonly used in the past. Results, via the isotropic fractionator, show the human brain has an average of 86 billion neurons and 85 billion glia. For people who like to point out that "86 is close to 100" and who claim the 100 billion is reasonable as an order-of-magnitude estimate, Houzel counters with saying an entire baboon brain contains 11 billion neurons. Fourteen billion is a significant number of neurons. The 100 billion neuron claim is often considered fact among brain scientists and the general public, even though not supported by evidence. Accepting information as facts not supported by evidence is problematic in the context of science; scientific data needs to be supported by evidence. Neuroscience dogma dies hard. Hale, J. (in press). Book Review: The Human Advantage. North American Journal of Psychology. Herculano-Houzel, S. (2016). The Human Advantage: A New Understanding Of How Our Brain Became Remarkable. Cambridge, MA: The MIT Press. Jamie Hale, M.S. is associated with Eastern Kentucky University's Psychophysiology Lab and Perception & Cognition Lab. His current research interests are scientific cognition, memory and eating behavior. 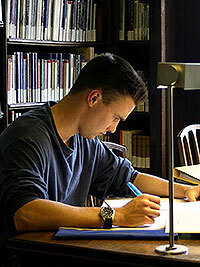 He has written for numerous national and international publications. He is the author of In Evidence We Trust: The Need for Science, Rationality and Statistics. 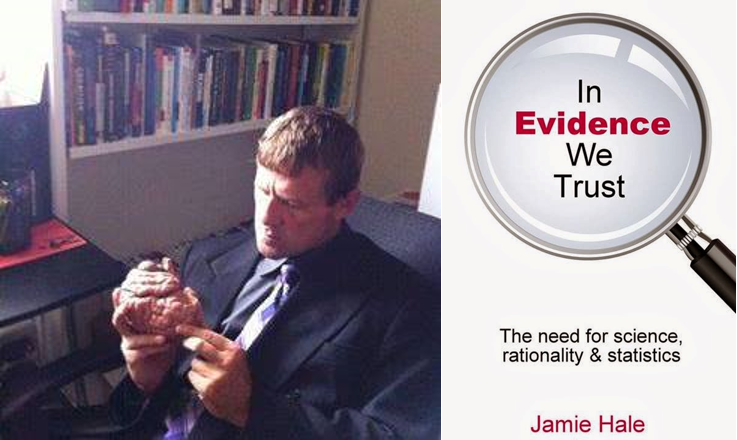 To learn more about Jamie visit his sites www.knowledgesummit.net and www.maxcondition.com. To hire him for lectures send him an e-mail (Jamie.hale1@gmail.com).